My latest work assignment has been to interview specialists about diabetes. 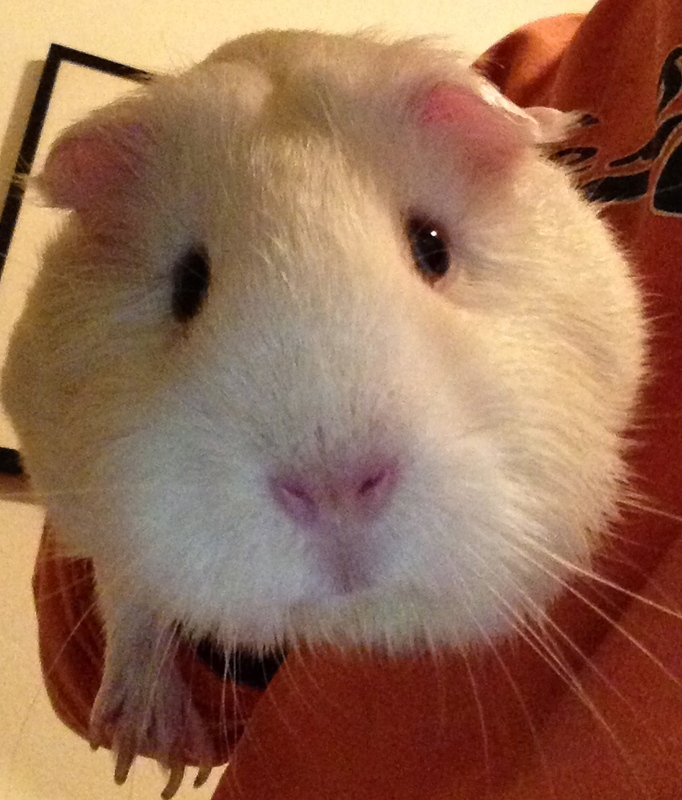 I know that being overweight can lead to diabetes, and having a chubby guinea pig gives me reason for pause. While Princess Piggy Poo may have a higher cavy BMI than she should, she definitely has a healthy diet with more greens than anything else. I’m sensitive to this because I’m afraid that I gave my previous guinea pig diabetes. When people used to tell me that my previous piggy was “huge,” I put him on a diet. Before I knew it, he was downing bottles of water and getting skinny. While he lived five years, which is in the typical guinea pig lifespan, I swore that if I ever got another guinea pig I would never put it on a diet. Princess Piggy Poo is enjoying the benefits of this conviction. I did, however, eliminate a good deal of fruit from Princess Piggy Poo’s diet since I presumed the amount of sugar in fruits may have been the undoing of my dearly departed cavy. Every time I hear Princess Piggy Poo drinking water, I hold my breath hoping she doesn’t start overdoing it. And, I’m comforted to see Princess Piggy Poo plump, no matter how big people say she looks. Keeping Princess Piggy Poo healthy and happy for years to come is my priority. While we’re all going to die from something, eventually, even Princess Piggy Poo, I just don’t want it to be because of something I did. This entry was posted in Guinea pig diet and tagged cavy, chubby, diabetes, diet, fruit, guinea pig, healthy, overweight, princess piggy poo. Bookmark the permalink. If you are concerned your piggy have diabetes this might help and also there are tests and treatments available. She looks pretty and healthy to me! Although, judging from the picture, she could use a nail clipping!